Have you or a loved one sustained a spinal cord injury in Michigan? Spinal cord injury causes many people in the United States to become disabled. It is estimated that annually there are 12,000 new cases of spinal cord injury in this country. This estimate does not include the number of people who die from a spinal cord injury at the scene of an accident. Approximately 255,702 Americans are currently living with a spinal cord injury. Vehicle accidents account for 42 percent of all spinal cord injuries. Falls account for 27.1 percent and violence for 15.3 percent. Sports accidents account for 7.4 percent and 8.1 percent of spinal cord injuries are due to unknown causes. In an instant, a single person's negligence can lead to a catastrophic accident which results in severe spinal cord injuries to an innocent victim. If you've sustained a serious spinal injury, including paralysis, paraplegia, or quadriplegia, the Michigan personal injury lawyer at Baldwin Legal Services PLLC knows what you’re going through. You're likely facing years of rehab and medical care. And even after all of that, you may still remain severely disabled. The fact that you can't work to support your family has probably added to your stress and frustration. While we can't possibly replace all that you've lost, our Michigan spinal cord injury lawyer can make sure those responsible for your pain and suffering are held accountable, and help you obtain the compensation you need to make your life easier. Please call 877-886-1441 or contact us online to schedule a free consultation. Spinal cord injury results in physical impairment and serious disabilities. If all communication is stopped between the brain and the body, then the victim is paralyzed in either his legs, arms, or both. Quadriplegics and paraplegics are examples of victims of spinal cord injury. 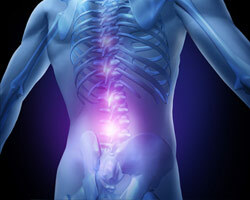 Spinal cord injuries are extremely painful. They may also interfere with the use of the lungs, bladder, and/or bowels. Spinal cord injury victims can have pressure sores (bedsores), jerking muscle contractions, and loss of sexual activity. A complete spinal cord injury usually causes complete paralysis (a total permanent loss of sensation and movement) below the site of the injury and loss of bowel and bladder control. An incomplete spinal cord injury is usually a permanent injury to the spinal cord that does not cause paralysis (a total permanent loss of sensation or movement). Incomplete spinal cord injuries can cause individual nerve cell damage, spinal contusions, temporary loss of sensation and movement, weakness and pain, and some bowel and bladder involvement. At this time, the treatment options for spinal cord injuries are limited. If the injury resulted in a fracture to the vertebrae protecting the cord, surgery may be performed to correct the fracture and relieve the compression on the spine. After surgery, some function may be recovered. There is not a current surgical option that will recover all function lost due to SCI. Rehabilitation is the main cornerstone of treatment designed to help the injured person retain as much function as possible. Rehab treatments may include working with a number of specialists, including physical therapists, occupational therapists, social workers, nutritionists, neurologists, psychologists and others. Rehab focuses on a range of issues, from preventing muscle atrophy to providing job training. If you or a loved one has suffered a spinal cord injury, delay in obtaining legal representation may be a costly mistake, because rehabilitative care needs to begin immediately. In addition, you only have a limited amount of time to pursue fair compensation before the statute of limitations expires. The insurance company wants to settle your case as soon as possible – and for as little money as possible. Our spinal cord injury attorney has a Master of Laws (LL.M.) in Insurance Law and knows how to present your claim in the best way possible to ensure your rights are protected and that you get the maximum compensation available. Please call 877-886-1441 or contact us online to schedule a free consultation. We are available 24 hours a day and 7 days a week. Home and hospital visits are available upon request. We will work diligently to ensure that you recover the full measure of compensation to which you are entitled.